The band are enjoying a well earned break from a Sunny Summer period of music making. 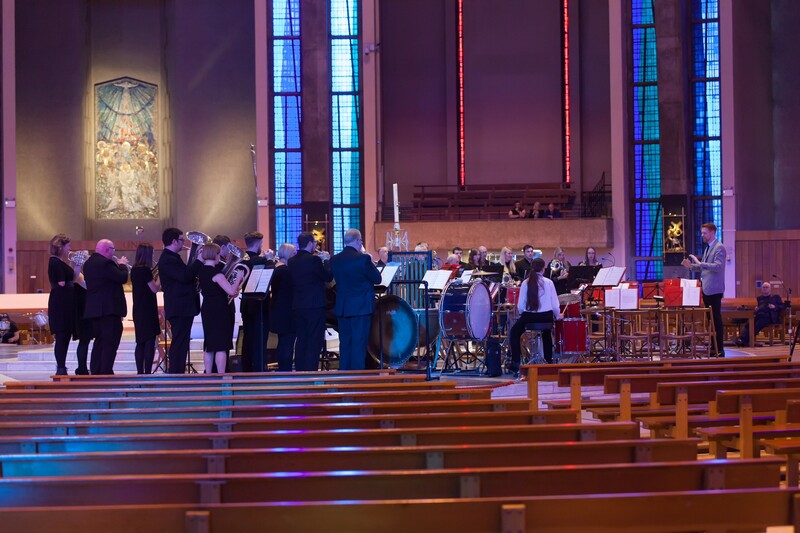 After our Annual Themed Spring concert in the Capstone Theatre back in May, we added a performance at Light Night at the Metropolitan Cathedral to our list of prestigious Liverpool buildings that we have played at. The week later we took part in the Whit Friday marches in Saddleworth. 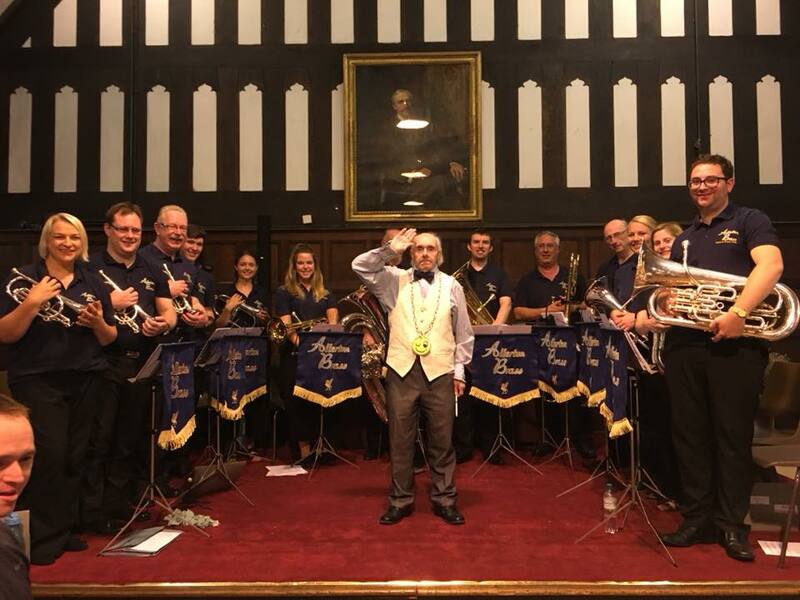 The band had a busy June as well, as we took part in the filming of a new film, Perfectly Frank; played at Hale Carnival, Farnworth Primary School; performed at Vale Park and Botanic Gardens in their band series, and even managed to fit in a recording! Before we finished we performed for the Thursday Club on Ullett Road with our guest conductor Phil. 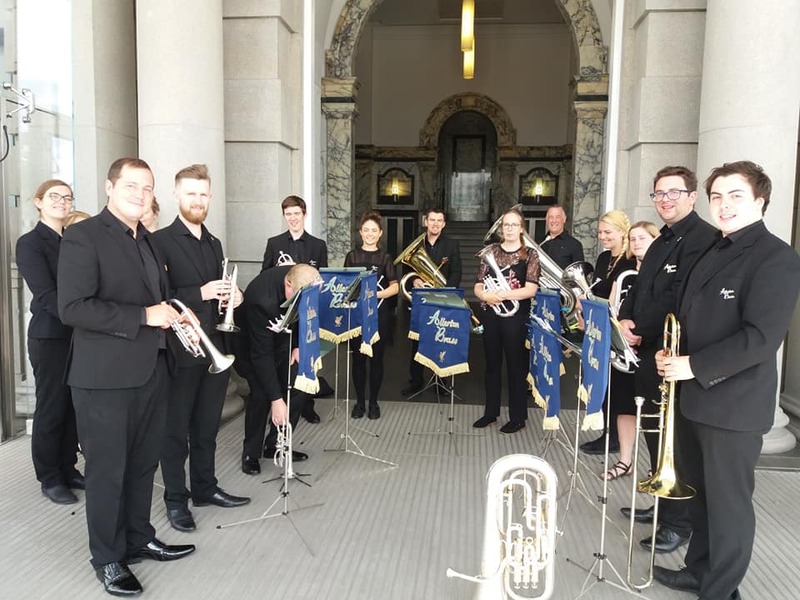 On Saturday 28th July, we had the pleasure of performing at another great Liverpool Landmark as we played for Clair and David’s wedding at the Liver Building! We now have another day off before we start preparing for our next performances at St. George’s Hall on Thursday 23rd August at the “Best of British” Last Night of The Proms and our National Finals performance in Cheltenham on Sunday 16th September.